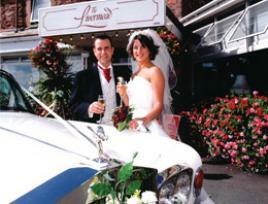 Who want's a Civil Ceremony when you could arrive in the height of style in one of our Rolls Royce Wedding Cars. 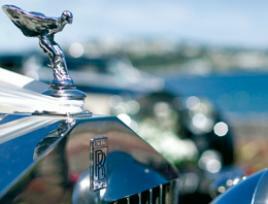 Rew Hotels have an unrivalled selection of Rolls Royce Cars. Our Chauffeur driven cars will whisk you off to the Hotel in absolute luxury adding a touch of class to the occasion. For Sit Down Wedding Receptions for 50 people or more people we will provide you with a Chauffeur Driven White Rolls Royce FREE for your Wedding Day. (excludes Driver Fuel Surcharge £75) Please enquire for full terms and conditions. Livermead Cliff Hotel's Rolls Royce Car is always Rew 2 when available. Please contact Mr Tim Rew for full details of pricing and availability. Also why not come down and view the cars. To book an appointment please telephone 01803 294363. Available for your special day FREE if your Wedding numbers are over 50 people* terms and conditions apply. Please enquire for full details.